Home Information Technology technology What is Decenturion? Is it Dangerous? What is Decenturion? Is it Dangerous? What is Decenturion? What does it intend to do and what are the dangers it possesses? Is it real or just another scam? Let us try to decipher this new idea of a decentralized digital state called DECENTURION. DECENTURION is the first decentralized autonomous state where all the resources, such as money, power and glory belong to the residents. Is a decentralized state even possible? Since this state will be online and there is no border definition yet online as I believed then this is a big possibility. Decenturion's website defines it as the first fully decentralized state in which economy, governance, and communications are built on a blockchain. According to the site, Decenturion's system of value pts its own residents in the epicenter. This approach determines the key principles of the domestic policies of the state. They further state that this state solves the challenge of creating a society. Decenturion citizenship if free at the moment and they are encouraging people to apply. When will Decenturion State Begin? The Decenturion state does not actually begin today but 41 days from now which is August 1, 1998. We initially thought that it will be within years but it is closer than we have expected. Perhaps the delay on the actual start of this virtual state is because they want to gather citizens and then launch when there are enough citizens already. Is this another thing similar to "The Cicada 3301" puzzles that were released years ago? Who is really behind all of this? As of now, we do not know yet, except for an excerpt from their website. 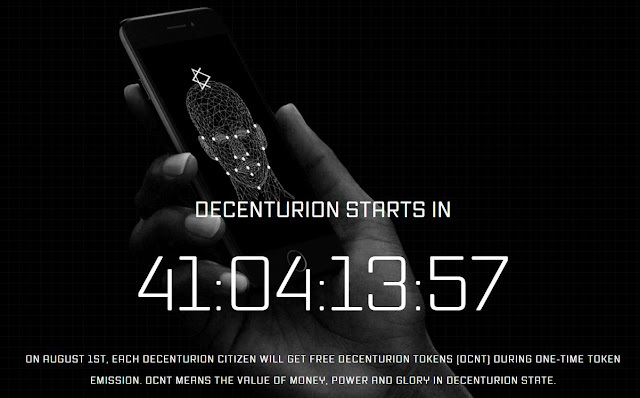 The “Decenturion” (or “Platform”) is a new digital world represented through decentralized platform open to people who believe in such concepts as the free economy and realization of their dreams. Decenturion is the blockchain “government” or a society with its own economy based on democratic principles. What is Decenturion State Symbol? The symbol of Decenturion can be very familiar although it is edited and used in a different way. This may very well be the Star of David. The Star of David (✡), known in Hebrew as the Shield of David or Magen David. 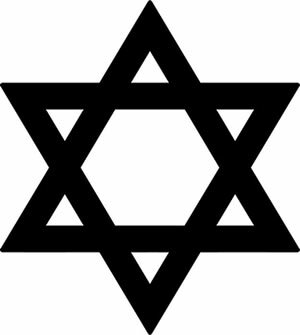 It is a generally recognized symbol of modern Jewish identity and Judaism. 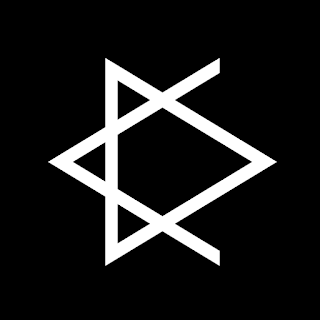 Its shape is that of a hexagram, the compound of two equilateral triangles. Unlike the menorah, the Lion of Judah, the shofar and the lulav, the Star of David was never a uniquely Jewish symbol, although it had been used in that way as a printer's colophon since the sixteenth century. The name somewhat originates from the word "Centurion" which is a commander in the Roman Army commanding around 100 people or Legionnaires. This explains why they gave a first "100" invites to blockchain pioneers. What are the Dangers of Signing-Up for Decenturion? Here are some of the dangers that we see when you sign-up as a citizen. We are highlighting the most obvious danger which is contained in their "Terms of Service Agreement," something which most of us fails to read. To the fullest extent permitted by applicable law, you hereby irrevocably waive all legal and equitable rights relating to all liabilities, claims, demands, actions, suits, damages, and expenses, including but not limited to claims for copyright or trademark infringement, infringement of moral rights, libel, defamation, invasion of any rights of privacy (including intrusion, false light, public disclosure of private facts, and misappropriation of name or likeness), violation of rights of publicity, physical or emotional injury or distress, or any similar claim or cause of action in tort, contract, or any other legal theory, now known or hereafter known in any jurisdiction throughout the world (collectively, "Claims") arising directly or indirectly from the Authorized Persons' exercise of their rights under this Agreement or the production, exhibition, exploitation, advertising, promotion, or other use of the Materials, and whether resulting in whole or in part by the negligence of Decenturion or any other person, covenant not to make or bring any such Claim against any Authorized Persons, and forever release and discharge the Authorized Persons from liability under such Claims. You understand that Decenturion is relying on this Agreement and will incur significant expense in reliance on this Agreement, and you agree that this Agreement cannot be terminated, rescinded, or modified, in whole or in part. In the above paragraph, you also waived your right to sue them. Wow, the creators of this idea is truly amazing and have something in mind which is dangerous. By this alone we can say that the main danger of signing here is giving up all of your information to them with you surrendering control of where that information is used. OUR VERDICT is DO NOT REGISTER nor divulge your information here because it is very, very dangerous. I do not know but I would say what they have come up here is a bit illegal.